B&C Technologies is there for your laundry needs from beginning to end. We take you step by step starting with our line of economical, high efficiency washers, then to our powerful line of dryers and drying cabinets, on to our unsurpassed single roll and multi roll deep chest ironers and finally to our dependable feeders and folders. Using only the highest quality components, our finishing equipment is designed to produce outstanding results and long life. We designed our machines with simplicity in mind, keeping our equipment user friendly and easy to maintain. This allows for savings of both training time and repair costs. We know there are varying demands of laundries - that is why our feeders and folders offer versatility. Our ergonomic, user friendly design allows for stress free operation. The incredible speed of our line of folders allow you to increase your productivity while maintaining high quality output. 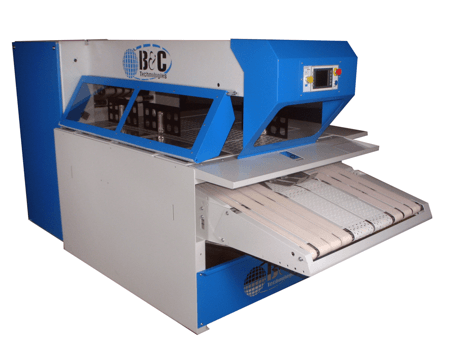 Folding equipment from B&C Technologies gives your goods a perfect finishing touch. Small Piece Professional Folder that Folds, Sorts, and Stacks a Wide Variety of Small Goods Including Towels, Hospital Gowns, Garments and Other Flat Goods. 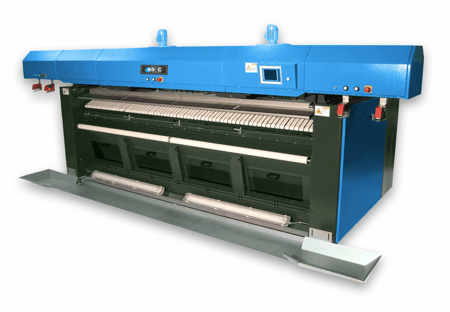 Professional Sheet Feeding In One, Two, Three, or Four Stations for Precise Feeding and Laydown of Sheets and Other Goods into an Ironer. 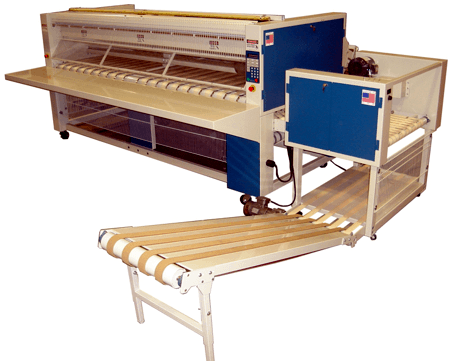 Professional Sheet Folding In One, Two, or Four Lanes with or without Crossfolding for Precise Folding of Sheets and other Goods from an Ironer.